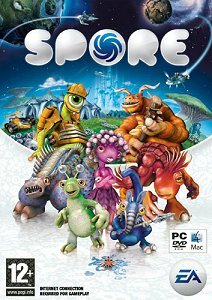 Spore is a multi-genre single-player god game developed by Maxis and designed by Will Wright. The game was released for the Microsoft Windows and Macintosh operating systems in September 2008. Covering many genres including action, real-time strategy, and RPG, Spore allows a player to control the development of a species from its beginnings as a microscopic organism, through development as an intelligent and social creature, to interstellar exploration as a spacefaring culture. Spore allows the player to develop a species from a microscopic organism to its evolution into a complex animal, its emergence as a social, intelligent being, to its mastery of the planet and then finally to its ascension into space, where it interacts with alien species across the galaxy. Throughout the game, the player's perspective and species change dramatically. The game is broken up into distinct yet consistent, dependent "phases". The outcome of one phase affects the initial conditions and leveling facing the player in the next. 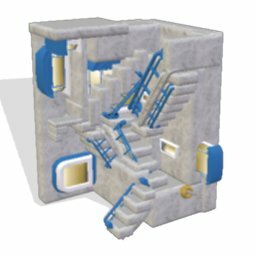 Each phase exhibits its own style of play, and has been described by the developers as ten times more complicated than its preceding phase. The five stages of the game are the Cell stage, the Creature stage, the Tribal stage, the Civilization stage, and the Space stage. In order to advance to the next stage of the game, players must complete the objective for each stage. User-generated content is a major feature of Spore; there are eighteen different types of editors (some unique to a phase), including a music editor which allows players to create (but not share) songs to be used as a national anthem in the Civilization stages and above. There are editors for creatures in every phase of the game. 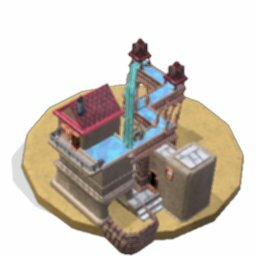 Other editors are used for buildings and for vehicles. Eventually, players can even edit entire planets, using various in-game processes. All creations are placed inside the "Sporepedia". 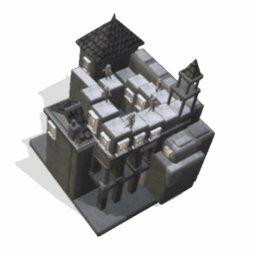 These creations can be viewed and downloaded by other players and vice versa. So far, over 100,000,000 creations have been shared. 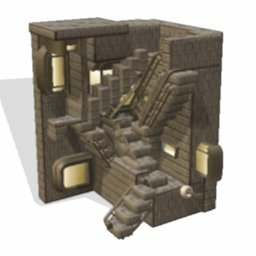 Some players create buildings, which are inspired by artworks of M.C. Escher. 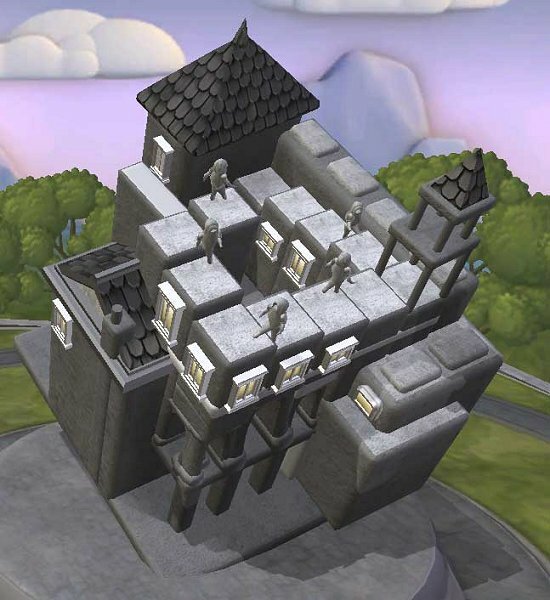 Below, you can see a version of monastery from Escher's artwork "Ascending and Descending", which was created by player Trippy72. The text about the game is based on article from Wikipedia.